Early, very compact foliage with upright salmon plumes, very floriferous, longest blooming in the series. 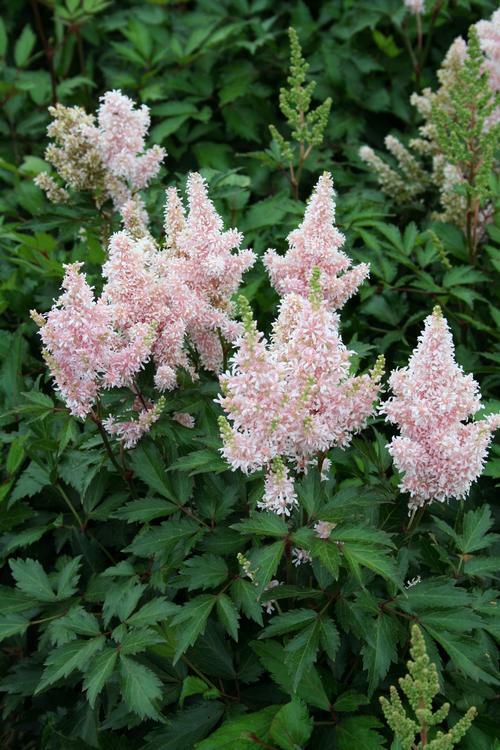 New hybrid astilbes that are very compact yet are very floriferous. These shorter hybrids produce more flowers than foliage for a very colorful display. Excellent for container production.